In addition to the cheque the club presented to the Eastbourne Lifeboat from members donations earlier this year we also had collection buckets at the Sumners Pond and the Hailsham Model Club shows. 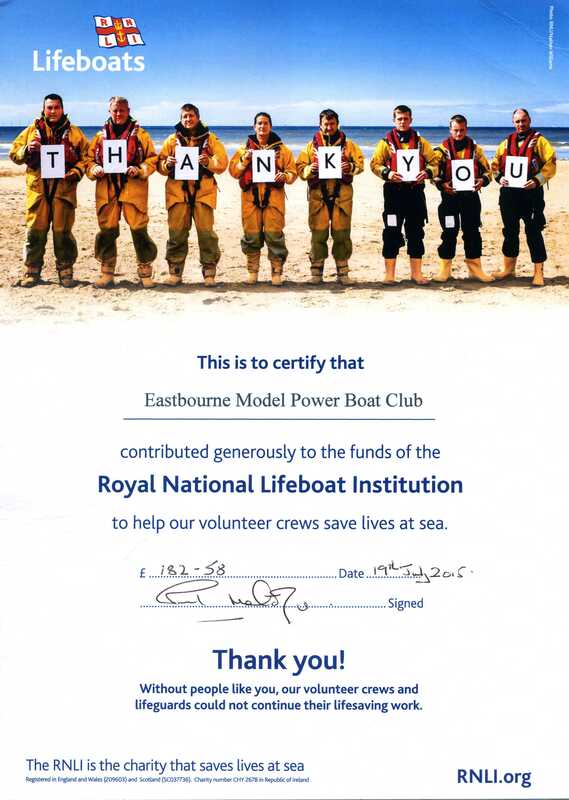 A very big thank you to all those involved in both events in raising a further £52.58p and we have now received a certificate from the RNLI for our fundraising efforts. Thank you.